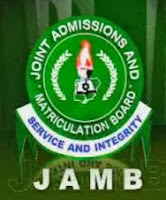 Registration for the 2015/2016 JAMB Unified Tertiary Matriculation Examination, UTME, for admission into tertiary institutions in Nigeria has commenced. JAMB has launched its official 2015 UTME Registration Portal; and the portal is now active. With the launch, JAMB is set to offer its JAMB UTME Registration Scratch cards to candidates for accessing the e-registration portal. The JAMB UTME 2015 cards will soon be available at approved selling outlets nationwide - designated banks, NIPOST offices and JAMB offices nationwide. The date for the JAMB UTME exam 2015 is to be announced at a later date by the board. In the previous 2014 exam, JAMB had asked candidates to choose one of three options to write their exams in. The options were Paper and Pencil Test (PPT), Dual Computer Paper Test (DCPT) and the Computer Based Test (CBT). See JAMB Offers CandidatesThree Options for 2014 UTME exams and JAMB to CommenceComputer-Based Test for UTME in 2015. Did you sit for the previous 2014 JAMB exam? If you did, please note that supplying your Last Year (UTME 2015) Registration Number to JAMB makes your registration faster. All candidates should visit the 2015 UTME e-portal at http://www.jamb.org.ng/unifiedtme/. However, to access the JAMB/UTME portal for e-registration, you need a scratch card which is being sold for N4,000 at the approved selling outlets nationwide - designated banks, Post offices and JAMB offices nationwide. The JAMB UTME Scratch card contains a serial number and PIN, two vital information you require for your UTME e-registration. You also need to finger-print. Please see information below for more. In addition to the information above, UTME 2015 registration will also require a finger print scanner like in recent past years. However, JAMB has made it clear that for the 2015 UTME Biometrics, only DIGITAL PERSONA scanners will be allowed for finger prints capture. Candidates wishing to register for the 2015 JAMB Unified Tertiary Matriculation Examination (UTME) should take note of this information. The biometric scanner (finger print reader) will be used to capture the left and right thumbs of the candidates. Candidates are advised to make sure an approved fingerprint reader is available on the computer they intend using for their JAMB UTME 2015 registration as their finger print (left and right thumb) will be read before they can sign-up for a UTME account, which is the first step in the registration process. Also like in 2014, JAMB UTME 2015 registration must be done on a computer with the Java Runtime Environment (JRE) installed. This is because the application that runs the JAMB UTME registration portal is based on Java programming language. Minimum of JRE 1.6 is required. Java JRE can be downloaded free from the Internet or JAMB website, if it is not already on your system (about 10MB). Make sure to read the instructions at the registration website before commencing your registration. The JAMB UTME 2015 Brochure is built-into the portal making it easy to search for details of your Jamb UTME courses of choice. A) All Candidates are advised to download and PRINT the New 2015 Jamb/UTME Online Registration Template and fill out the form. To download the 2015 Jamb/UTME Online Registration Template, go to the official website: http://www.jamb.org.ng/Unifiedtme. B) Candidates should note that they are to do their registration ONLY through authorized Business/Computer Centres even if they are able to do the registration themselves using personal computers. This means that candidates cannot use their personal computers to register the JAMB 2015/2016 Form. The list of Authorized Business/Computer Centres/Cybercafé may be accessed through the link below. · Ensure you download and PRINT the New 2014 JAMB/UTME Online Registration Template. · After you download and print the 2015 Jamb Registration Template, you can take the FORM home and fill it in with the help of the Official 2015 JAMB brochure and other relevant handy information. · After filling the JAMB Registration Template, you may then proceed to any of the approved Business Center or Cybercafé nearest to you to fill in your details online. 1. Please remember to collect your JAMB registration scratch card from the business Centre/cybercafé after registrations. You will definitely need it later, so keep it in a safe place. 2. Candidates should note that Examination Town cannot be changed after you submit your form. Do not make any mistake here! 3. You will require a JPEG passport to be scanned or digitized. The passport should not be older than three (3) months. You are advised to test the validity of your passport photograph before proceeding with your registration. 4. Candidates will be required to have a working email address to successfully complete their registration and get additional information from JAMB. You may get a FREE email address from www.gmail.com or www.yahoo.com. Both of them are free, Gmail.com may require that you confirm a code. Gmail will call your cell phone number and give you 6 or 7 digit code to enter in a box they will provide, after which your account will be activated. 5.Candidates should note that they will NOT be able to change their Names, Date of Birth, Origin and Gender after submitting their application. If you are using Jamb 2015 approved Business Center or Cyber-Cafe, all the above procedures, including the Finger Print Registration should be available. All Inquiries should be sent ONLY to UTME2014.info@jamb.gov.ng or call 08072522813, 07031283713, 07031283662. Did you know that Authorized JAMB Registration Centres are supposed to Charge Only N700? And that if you have been charged more than that, you could have them penalized? AuthorizedRegistration Centres Not Allowed To Charge More Than N700!! SCAM ALERT!!! Please be informed that JAMB has not authorized any person/individual/agent/affiliate whatsoever to transact on its behalf with regards to obtaining Access Code. Please DO NOT disclose your Access Code to anyone and disregard any information by means of SMS or email other than that on the official JAMB portal. Necessary information shall be passed via the portal ONLY.